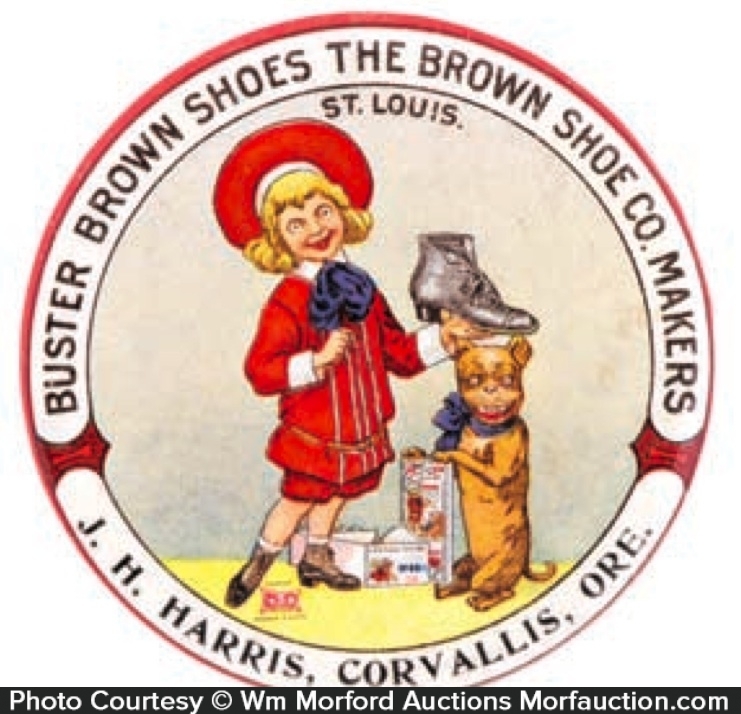 Scarce, early celluloid pocket mirror for Buster Brown Shoes Co.’s Corvallis, Oregon store. 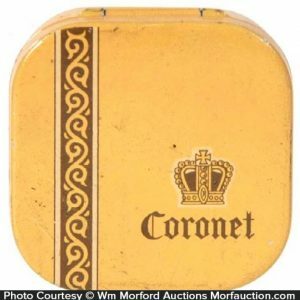 SKU: 79-161. 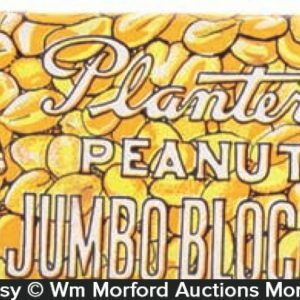 Categories: Comic Character, Pocket Mirrors. 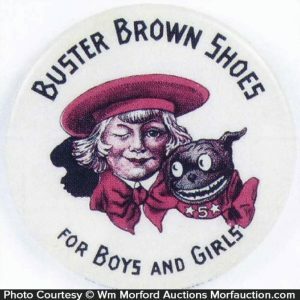 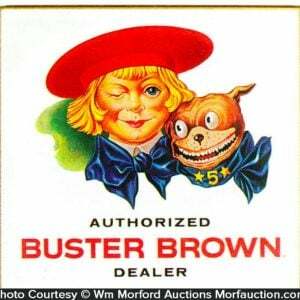 Company/Brand: Brown Shoe Co., Buster Brown Shoes. Buster Brown Shoes Mirror: Scarce, early celluloid pocket mirror for Buster Brown Shoes Co.’s Corvallis, Oregon store. 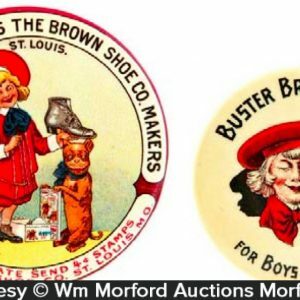 Clean, bright and attractive (basically displays as like new) although examination under magnification will reveal a few light bumps and minor scattered surface wear, w/ faint trace hint of very minor foxing (mentioned for accuracy, very minor and barely merits mention).